Click here for fees. Click here for registration. Click here for general description. Saturday, November 2: arrival in Goiania, Brazil, and rest in hotel after international flight. Enjoy *Welcome basket of fruits, nuts, and juices. Our 4-star hotel has exercise equipment, AC, sauna, wifi, restaurant and business center—and is across the street from a beautiful 54 acre park for walking/jogging and watching monkeys zipping through the trees and eating mangos. *Dinner at hotel restaurant at 7pm to celebrate arrival. Orientation. Emma Bragdon charts the course for the week. Sunday: Introductions. Presentation by Dr. Bragdon on “Spirituality and Health”…what we know about the positive relationship between being involved with spirituality and how it leads to greater wellbeing. *Lunch at local restaurant. Siesta. Presentation by Dr. Bragdon introducing Spiritism…includes 30 min film she co-produced, “Spiritism: Bridging Spirituality and Health”. Q & A. Dinner on your own. Monday: Emma Bragdon/ Sergio Vencio, MD, co-present about current research on Spiritism, Reincarnation, Mediumship and Energy Transfer/ Healing. What does research tell us? Who is doing the research? *Lunch at local restaurant. Film in afternoon: “Chico”–the feature film about the life story of a man considered a saint in Brazil. 6-9 pm, van transfer to Spiritist Hospital Euripedes de Barsanulfo. We will watch a meeting of advanced mediums who do energy work and also disobsession at the Casa de Euripedes, one of the largest Spiritist Psychiatric Hospital’s in Brazil. They work under supervision of Francisca, an advanced and highly respected medium. Dona Eliane Crespo will fly in from Recife, Brazil. She was a supervisor/teacher of mediums at the hospital for many years.The group has been working with each other for a long time so they are sensitively attuned to each other and dedicated to helping the patients. They help in the release of negative entities, spirits, and patterns of negative thinking which benefits both the patients and the disembodied spirits to advance in their evolution. Morning: Emma Bragdon facilitates debrief about what we experienced last night. Q&A with more explanation of Spiritists’ healing protocols. Mid-day: Free to rest and catch up with emails, etc. Walk/exercise/ hang out with new friends/ go to the market to buy snacks for your room. Lunch as you wish, on your own. 2pm meet with Jeziel Ramos, MD, president of Casa Euripides, at this Spiritist Hospital. He will explain the history of the hospital and the actual program they offer for medium’s work at the hospital (diagnosis and healing and edification). He will discuss minimizing the use of psychotropic medication for psychotics, bipolar, depressives and addicts. (The hospital does not use ECT.) We will learn more about how the Brazilian government is accepting/not accepting of Spiritism and how his hospital is working with that challenge. Then, we would have a tour of the hospital with Dr. Jeziel as our guide. 4pm-ish: *Hi-tea: fruit juices and freshly baked rolls at the hospital. Afterwards, discussion of a brief Alan Kardec text as it relates to mediumship facilitated by the supervisor of mediums at the hospital. Then, we will watch the spiritual treatment of the patients and the people coming from outside the hospital (outpatient) for spiritual treatments. The group is led by Sandro, a professor of philosophy at the University in Goiania, who is also a gifted medium and diagnostician. We will view energy work with patients, hear what the practitioners have done to prepare themselves for this work, how long the preparation usually takes, what they experience, how they feel about their work as mediums/healers and medical intuitives. From 7pm to 9pm we will watch mediumistic work done by two mediumistic groups who have been working with patients at the hospital for a long time. Each group has a slightly different way of working. We depart for hotel after 9pm. Wednesday: Dagmar Ramos, MD facilitates debrief of Tuesday night. Q/A. Lunch/ Siesta. Afternoon: Leave for Ramatis Spiritist Center at 2:15pm. Meet Sergio Vencio, MD at the Center for a presentation on “Medicine, Spirituality and Mediumship”. At 5pm we each will receive a “Soul Caregivers” experience. At 6pm the Ramatis team of advanced mediums will work with each participant individually in a mediumistic meeting. Dagmar Ramos, MD, will again participate with us–this time as a medium. Thursday: R&R trip to Perinopolis & Vagafogo (2 hrs) for the day and early evening. Perinopolis is a delightful colonial village full of shops selling excellent handcrafts, souvenirs, and local delicacies. Vaga Fogo is a wildlife sanctuary which serves *a full, handmade brunch and offers walking trails and swimming in the pure water of their primal forest. Dinner on your own in Perinopolis. A highpoint of the trip for nature enthusiasts as well as shoppers! Friday: Dr. Bragdon further illumines the Spiritist way of energy transmission for healing and how to do the energy transfer the Spiritists call “Energy Passes”. We will practice doing “passes” on ourselves for stress reduction and with each other to further healing. Discussion how we can integrate this kind of practice in our home countries. * Lunch with the group together at a local Brazilian restaurant. 2-4pm option: Film, “Nosso Lar” aka “Our Spiritual Home” is a full feature length film depicting the Spiritist view of life in the spiritual realm and how spirits interact with people in body. Early Dinner. 6:00pm: Transfer to Centro Irradiacao Espirita Crista. 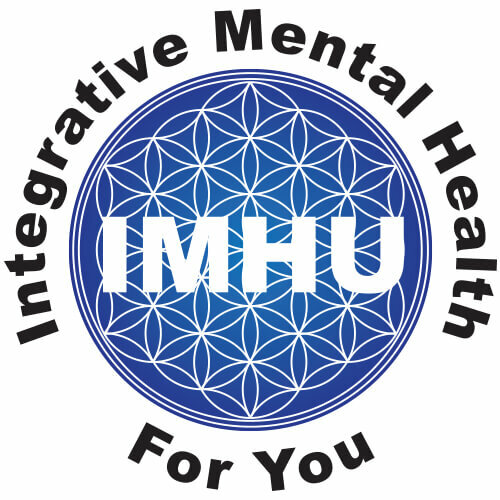 This Spiritist center practices extraordinary forms of magnetic healing starting at 7pm. They work with those with both physical and/or mental disorders and have had extraordinary success helping people heal from cancers. We will be able to watch the workers and later speak with Renato, the Director of the Center, who will answer our questions about the treatment, the patients they see, and the center. Saturday: Reflect and share together our individual and collective plans for the future. We will discuss ways to network and support each other in greater depth. *Lunch: Celebration/ Appreciations at Hotel Bristol Evidencia restaurant. Prepare to fly out Saturday afternoon or evening for return trip home.